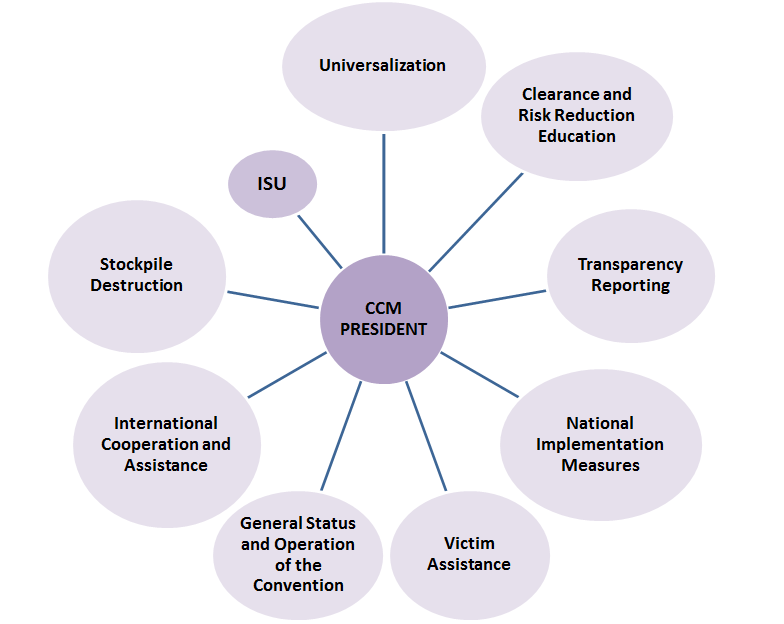 Assisted by the Implementation Support Unit, the Coordination Committee is composed of the President, President-designate, the immediate past President and the Coordinators on General Status and Operation of the Convention, Universalization, Stockpile Destruction, Clearance and Risk Reduction Education, Victim Assistance, and International Cooperation and Assistance, all mandated for a duration of two years. Coordinators on matters pertaining to National Implementation Measures as well as on Transparency Measures are both mandated for a duration of one (renewable) year. 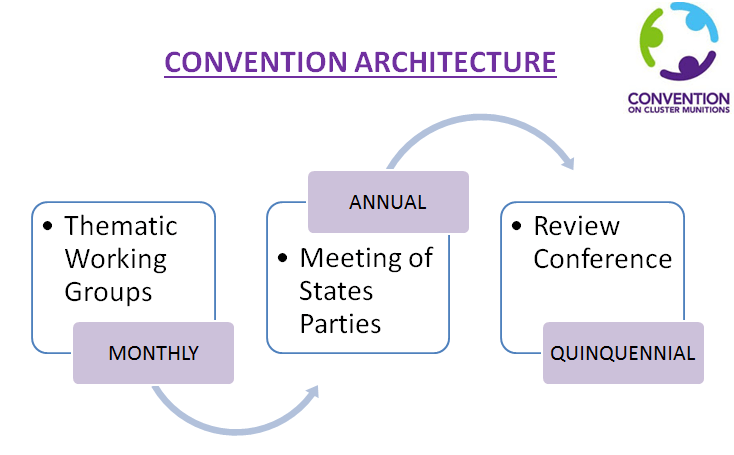 The Coordinators of working groups are nominated and selected at Meetings of States Parties on the basis of broad-based consultations with an aim to maintain inclusiveness and broad political ownership. In keeping with past practice, the Coordination Committee may call upon others to assist with its work as appropriate, and maintain the invitation to the International Committee of the Red Cross, the United Nations and the Cluster Munition Coalition to join the Coordination Committee in observer capacity. The Coordination Committee, under the current Sri Lankan presidency, meets on a monthly basis. Click here to download an easy-to-read brochure on the Coordination Committee.